Lilly and Lolly's new store - pre-opening photos! 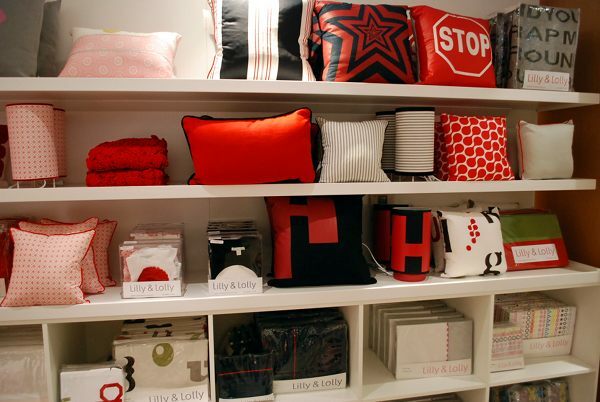 Lilly and Lolly’s new store – pre-opening photos! 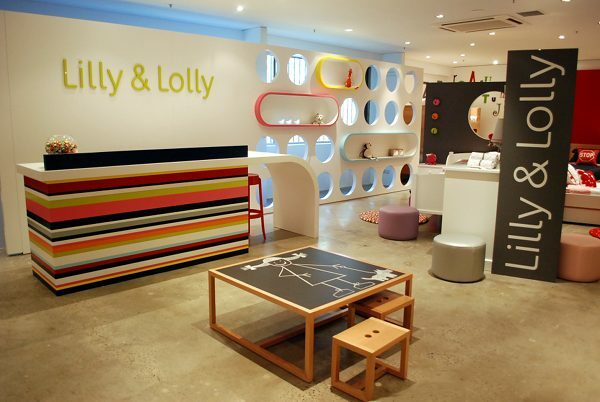 We had the pleasure of attending the pre-opening tonight, of the brand new Lilly & Lolly store in Waterloo Sydney! This much-anticipated event unveiled the new super-duper store in all its glory in the famous pyd building, a hub of design in the inner suburbs. 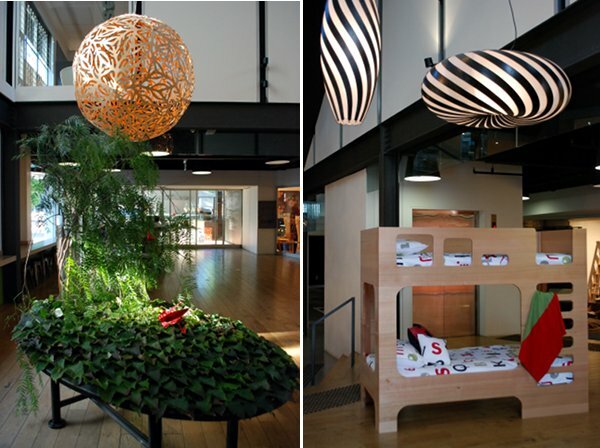 Babyology was given the very first access to the Lilly & Lolly store while the crowd massed below in the stunningly decorated foyer. The Scoop bunk was set up there as well as an installation made by Ashling’s (the designer) sister which featured beautiful origami birds. Then it was a matter of bounding up the gorgeous staircase to see what Lilly & Lolly delights awaited us! There were lovely bedrooms set up with each of the Lilly & Lolly bed linen, cushion and furniture ranges as well as a wall packed full of the pyjamas and packaged linen. The Scoop bunk was also featured inside the store with its matching bedside table and desk. 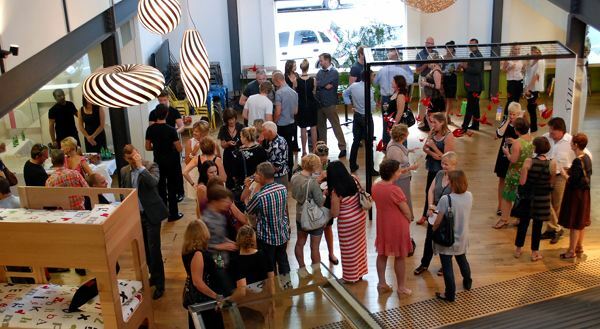 After some photos it was off downstairs, where the pre-opening crowd had well and truly arrived! 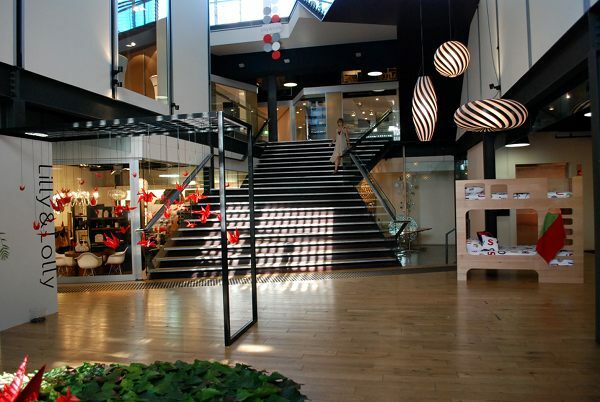 Babyology would like to congratulate Ashling and Megan on the success of their beautiful new store in a landmark building. The new location in Waterloo will most certainly appeal to the people of the eastern suburbs as well as the city and inner west. Live long Lilly & Lolly! The new Lilly & Lolly store will be open to the general public from this Saturday (26 February) and is at 197 Young St, Waterloo. Opening hours are 9am to 5pm Monday to Friday and 10am to 4pm on Saturday. Here is a map so you know how to get there!